Most people are visually-oriented and make decisions based on how things look. Do your marketing materials look inviting? organized? professional? Do they positively attract and impress potential customers and clients? Communication is key in advertising a successful business. We’ll listen to you carefully in order to clearly understand your business, your customers, and your goals. We’ll help you develop an attractive brand that will enable you to better communicate with your customers. Your marketing collateral will instill a sense of confidence and trust in potential clients that will go a long way in selling your products and services for you. 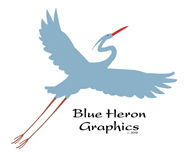 We will work with you to develop the best graphic design solutions possible within your budget. Please call us today at (925) 942-0897 to schedule a free 1/2 hour consultation!